Nor, the Chinese government has decided, can bureaucrats continue to aggressively steer Chinese electric-car buyers to domestic brands. The inescapable reality: Beijing Electric Vehicle needs a tune-up. All but unknown outside its homeland, Beijing Electric Vehicle, or BJEV, is China’s largest maker of pure-electric vehicles and the world’s No. 2 manufacturer, behind Tesla. A decade old, BJEV owes its growth to state support. But now the Chinese government is ratcheting back that aid. It’s slashing customer subsidies for the cheapest electric cars, which are the bulk of BJEV’s sales. And it’s opening the country’s electric-vehicle market to greater competition from the West’s better-established automakers, a move widely seen as a bid to tamp down the global trade war. As a result, BJEV must get a lot more sophisticated, and fast. Thus its plan to hire an army of electric-car experts from abroad. Because the electric-car market in China dwarfs those of all other countries—China accounted for 60% of the 1.3 million electric-only cars sold globally last year, according to Bloomberg New Energy Finance—and because the growth in demand for electric cars is expected to outpace that for conventional vehicles, foreign firms see it as a fight for their futures. Tesla, General Motors, Volkswagen, and BMW are ramping up their presence. The Chinese electric-car race has big geopolitical, economic, and environmental stakes. For the planet, what happens in China will be the biggest test yet of whether electric cars can meaningfully displace gasoline cars, with potentially huge repercussions for the oil industry and the climate. For the world’s conventional-auto giants, embarrassed by Tesla in the electric-car race’s first stage—the one in the West—the scramble on Chinese turf will determine whether they can finally outflank Tesla’s controversial CEO, Elon Musk. And for China, the competition will test whether the country’s industrial push has advanced to the point where homegrown companies, such as BJEV, can best Western rivals in a still-fledgling industry in which global leadership has yet to solidify. China’s electric-vehicle market is forcing “the international automakers to accelerate their electric-vehicle strategies globally,” says Kou Nannan, a Bloomberg analyst in Beijing. Pure electrics accounted for 3.3% of new passenger-car sales in China in 2018, up from 0.7% in 2015 and more than double the U.S. share of 1.3%, according to Wood Mackenzie. Together, pure electrics and plug-in hybrids accounted for 4.5% of China’s market in 2018. BJEV sold about 152,000 pure-electric cars in China in 2018, according to Bloomberg. That was nearly 50% more than the number of pure electrics sold by China’s No. 2 manufacturer, BYD. Adding plug-in hybrids, BYD was China’s top maker of vehicles that plug into a socket, selling 248,947 of them last year. BJEV doesn’t produce hybrids. The Chinese government is mulling long-term targets for electric-car sales. China’s Society of Automotive Engineers has said 40% of passenger-vehicle sales should be electrics or plug-in hybrids by 2030. Behind China’s ambition are three strategic goals: combating pollution, curbing oil imports, and building competitive electric-car firms. Governments at every level have been pursuing the goals through carrots and sticks. The carrot consists of big subsidies, which, in the case of some models, make buying an electric car half as expensive as it would otherwise be. By far the bestselling electric car in China in 2018, an econobox from BJEV called the EC, sold for about $8,000 after subsidies. For many drivers, the stick has been at least as important. 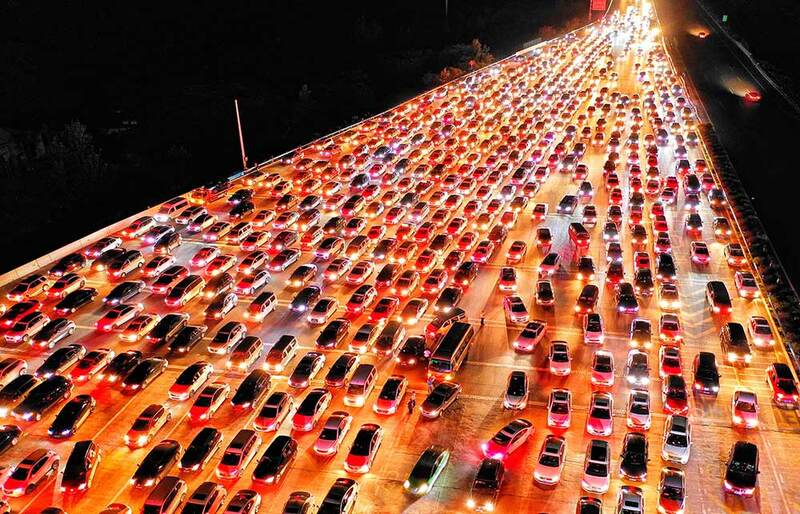 Traffic-clogged megalopolises such as Beijing have greatly reduced the number of new license plates they issue for conventional vehicles and have limited when such cars may drive in certain areas. But cities are issuing more electric-car license plates, which are green, while not restricting when electric cars can be used. The wake-up call for BJEV was China’s shifting electric-car subsidies to car models that are more efficient and go farther on every charge. The company is also grappling with the government’s eliminating protectionist policies that coddled domestic firms. China still requires that foreign automakers pay import duties if they manufacture the cars outside the country. But as of 2018, foreign companies no longer need joint ventures with Chinese firms to undertake local manufacturing and thus avoid tariffs. Further unleashing the foreign competition is a Chinese requirement taking effect this year that any automaker selling petroleum-powered vehicles in the country must either sell a minimum number of its own electric cars—a number pegged to its total-vehicle sales—or buy so-called new-energy-vehicle credits from other automakers. It’s an environmental mandate China modeled on one in California. VW, which sold only about 8,000 electric and plug-in hybrids in China in 2018, according to Bloomberg, says it plans to sell an eye-popping 400,000 annually by next year and 1.5 million annually by 2025. Tesla, which resisted manufacturing in China when the country still required joint ventures, shifted strategy after the policy changes and broke ground in January on a factory in Shanghai, its first factory outside the U.S. Tesla says the plant will ultimately produce 500,000 electric cars annually. Amid that onslaught, BJEV is scrambling. It has targeted selling 500,000 electric vehicles annually starting next year, and it is pursuing foreign markets. In a meeting room at the company’s headquarters that, like others, is named for a major global city—in this case, Berlin—Wang, the BJEV engineer, explains that Chinese automakers have focused mostly on ancillary car features, like Wi-Fi, but still lag established auto giants on the basics, such as safety and high-speed handling.